With the FIFA World Cup 2018 starting on June 14, gamblers are looking forward to a festive season of betting. Bookmakers, on the other hand, are set to provide punters with the best odds to stay on top of their competitors. As it is the norm in betting, different players choose markets according to their preferences, and those that they feel that they have the highest chances of winning. There is, however, a group of professional players who do not like taking chances when gambling by placing sure bets. The sure bets shown above are constanly updated. That way you can be sure that you play with the latest offers on the market. Soon, you will also be able to receive notifications in your browser when new sure bets pop up. Miracle bet, betting arbitrage or a sure bet is a set of events that a player places his bet on for a guaranteed profit. Regardless of the result of the set of bets, a punter is sure that he will cash out more than the total amount he placed, or at least retain his initial stake. Sure bet shoulders are bets compromising a sure bet. When placing a sure bet, all of its shoulders does not guarantee a profit. To yield a better profit, a player may decide to set his bets in a certain way under specific conditions. Such situations require a professional gambler who has mastered the art of placing sure bets. 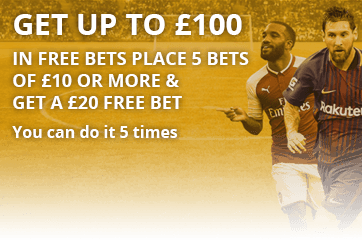 When placing a sure bet, you will need more than one bookie to make a profit. Bookies add a margin or commission to their odds and try to adjust them so that they are better placed to make more profits than the players. Luckily, there are thousands of betting companies that operate under independent systems and do not engage each other in setting a common margin. The example below will give you a better understanding of placing a sure bet. Consider a match between Barcelona and Real Madrid. The odds given by bookmaker A are; H(2.3), X(2.9), A(3.14), Bookmaker B; H(1.95), X(3.30), A(3.75) and Bookmaker C; H(1.95), X(3.16), A(3.97). If you have a £1000 stake, you can place a bet of £439.31 for Barcelona to win on Bookmaker A with an odd of 2.3, a draw on Bookmaker B for a stake of £306.18, with an odd of 3.30 and a Real Madrid win on Bookmaker C, for £254.51 with an odd 3.97. If Barcelona wins, the total winnings will be £1010.41, £1010.39 for a draw, and £1010.40 if Real Madrid wins. Therefore, no matter the outcome of the match, you are guaranteed a profit of about £10.40, which is a 1% return. To increase your daily winnings, you can place several sure bets. As much as sure bets guarantee a profit, you need some strategies to ensure that you have an advantage over the bookmakers. While placing a sure bet, you should check a bookmaker’s terms and conditions regarding the number of outcomes that can be placed on a single event. In some instances, a bookmaker may revoke a bet if a player goes against the betting rules. Such rules on some bookmakers may affect your shoulder if you are using more than one company. While placing your sure bets, there is a tendency of bookmakers changing the odds without notice. The odd may change for the worse and this may affect your entire sure bet. To make sure you have a successful sure bet, you need to determine the shoulder to bet on and stake on it as fast as possible. You will need a stable internet connection and a fast PC or smartphone that will not disappoint you before placing all the events of your sure bet. Finding sure bets across various bookmakers can be overwhelming. Luckily, you can use automatic sure bet search saves to save time and minimise the hustle of performing routine searches and calculations. As much as software can save you time, they are not always accurate. You will need to conduct a manual verification process to ensure that you are betting on the right shoulders. Sure bets are a good way of making money and taking advantage of the bookmakers. I like placing sure bets as I am guaranteed of winning, unlike the usual bets when you can lose all your money in a single bet. Professional players find sure bets a better alternative for beating the bookies, despite the tedious work of finding shoulders and reliable betting companies. Bookies do not fancy professional players as their main aim is to make profits, rather than leaving loopholes which gamblers can capitalise on. As a result, they have set strict rules which may render you sure bet invalid. There are, however, some companies which value their reputation over the player’s winning. Companies, especially those that charge commissions on wins do not care about the sure better as they will still have their cut on the profit. 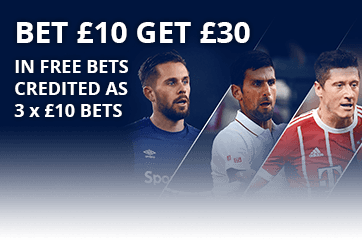 These are the bookmakers which offer the least returns on sure bets as they are sure that there are professional gamblers among their customers. When choosing bookmakers for placing sure bets, ensure that the company is reputable to guarantee payment. Bookmakers do not like it when a player is always winning. In such cases, they may come up with various obstacles not to pay you or revoke your winnings. Be careful with betting companies which offer high profits on sure bets as they are less reliable. Using sure bets to have an advantage over the bookmakers is a productive activity. There are, however, pros and cons that come with this technique. Sure bets ensure that you will not lose your money while betting. The player has an advantage over the bookies. Betting on sure bets can make gambling a source of constant income. Players can bet on as many sure bets as they like on the reputable companies to maximise their winnings. Gamblers can use different bookmakers to place sure bets and avoid suspicion of going against the company’s terms and conditions of placing sure bets. Some companies do not allow more than two bets on a single event. There are some untrustworthy betting companies that may revoke your winnings when they detect that you have placed sure bets on their site. You need to stake high to have a good winning. Placing sure bets takes a lot of time and care to place a successful bet. Changes in bet odds or internet downtime can affect your entire sure bet. This occurrence is risky considering that sure betters stake high.